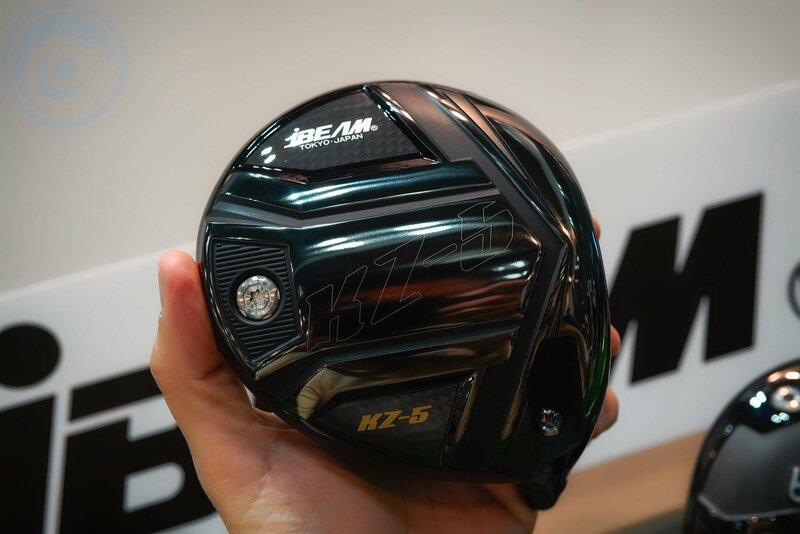 It’s a big deal as Jbeam has never ventured into both carbon crowns or adjustable hosels before. 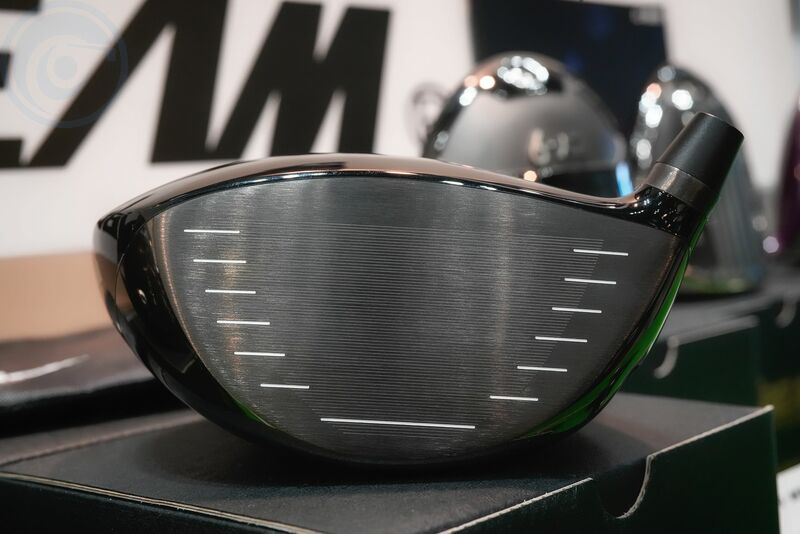 I am not sure at all if it is necessary as without it Jbeam had better distance than even the most popular drivers already and with hand-picked specs what does adjustability really bring other than allowing the player to tweak their own specs at will. 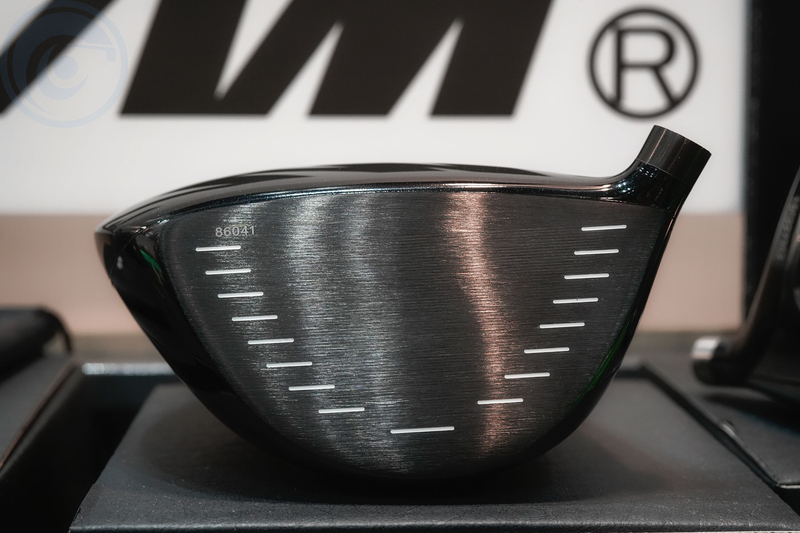 The shapes of Jbeam’s newest heads have been evolving and while most are deep some new curves are being introduced as you can see in the above photo. 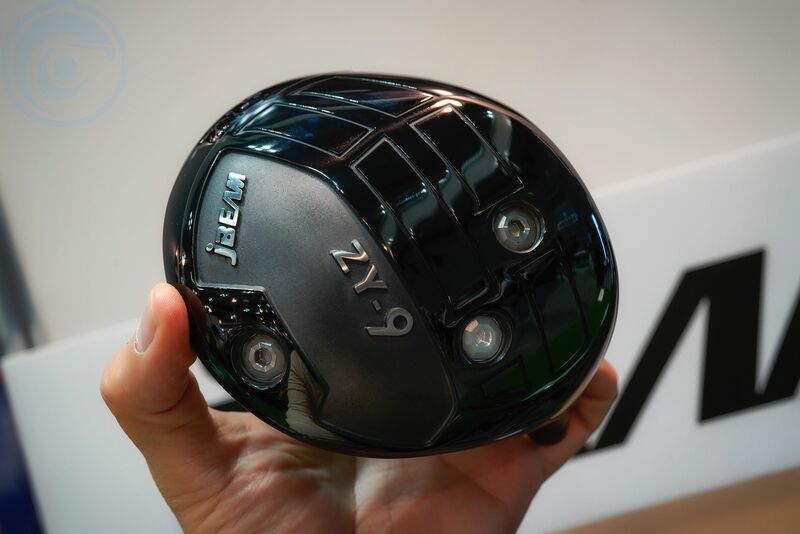 Another sneak peak for youis the reveal of a new ZY series driver coming the ZY-9 which is designed with a neutral bias yet can be easily tweaked to support a fade or draw with weights alone. 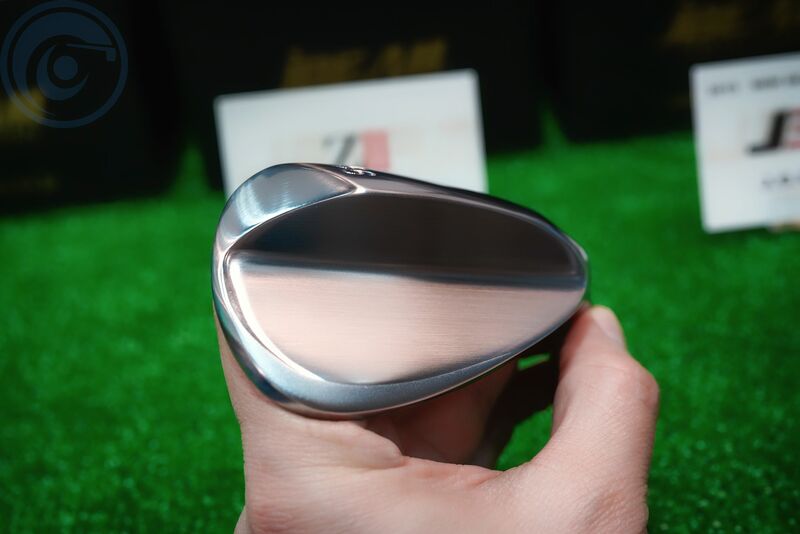 It features that triangular face shape the entire ZY series has always featured which makes it incredibly forgiving on misses low on the face while also giving the player more flexibility with tee height. 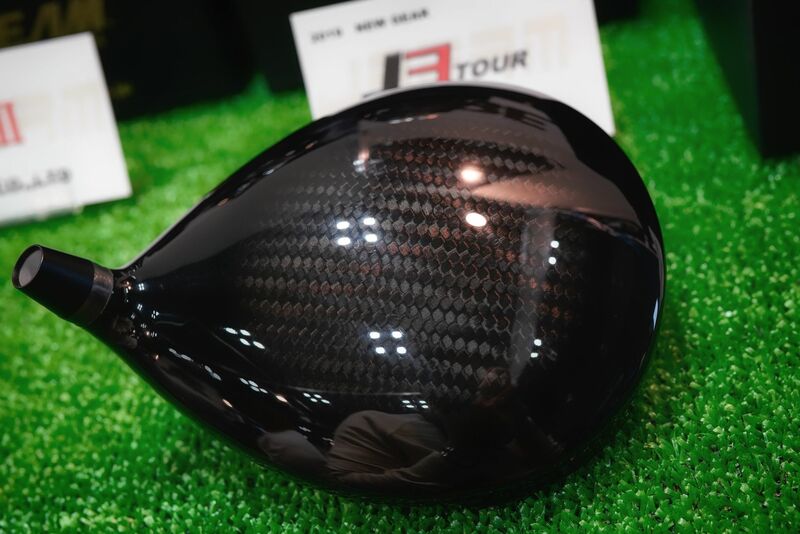 JBeam also had its T801 iron on display which is a soft Japan forged and made muscle black that actually has cnc milled grooves and a milled face, very few hand ground irons feature milled grooves and faces due to cost alone. 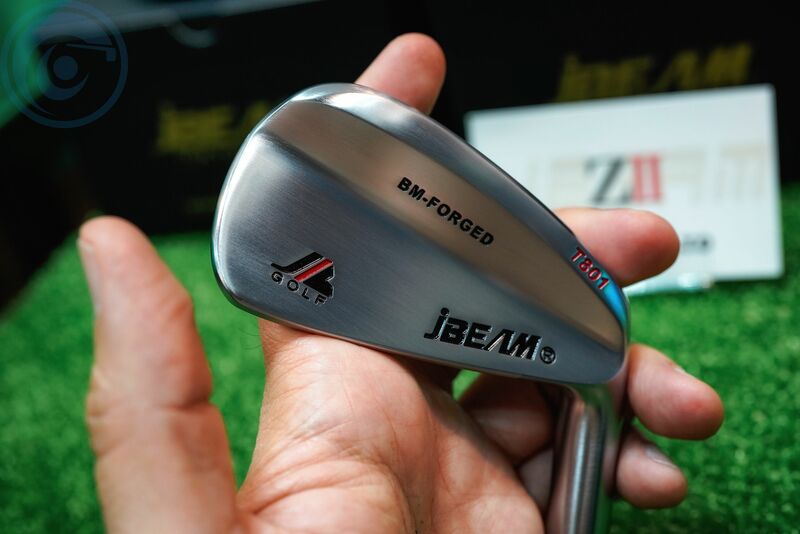 JBeam also had a new wedge prototype on display which has yet to have a name but regardless we wanted to show you guys it’s aggressive design.